The Price of Amiibo's Existence? 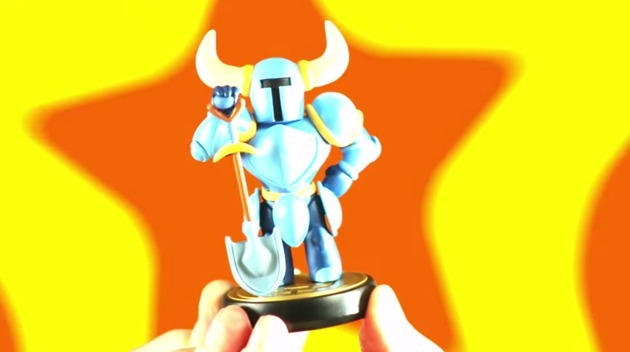 Yesterday at Pax 2015 Nindies @ Night presentation in Seattle Washington the rumoured Shovel Knight Amiibo was officially announced. The figure looks nice enough, but will be limited in quantity. Our staff member DBZMania was quite irked when he provided us with the news tip regarding this announcement as it appears that two player co-op and Challenge Mode, the latter of which was originally supposed to be free DLC is locked through the Shovel Knight Amiibo paywall. There will also be exclusive relics locked through the Amiibo. Even the rest of our staff are quite worried about the future of Amiibo. Nintendo has, in our opinion done things right by just locking superficial costumes and other non-important features through Amiibo, but Yacht Club Games is locking very important content behind a paywall that is locked by a figure that not everyone who wants and can even afford the Amiibo will be able to find it and unlock the content. We have feared that Amiibo could be misused and this could be the first time it will actually happen. We will try to contact Yacht Club Games to see if this DLC will also be available through the eShop. In the meantime let us know what you think of this news in our comments below! Yacht Club Games wrote: WiiWareWave We'll be detailing more about how these new modes roll out after Plague of Shadows is released. We do appreciate the input! While it's not much to go on it does seem likely that there's more to this DLC then meets the eye, so we'll just have to wait and see what Yacht Club Games has up their sleeves! This is the most shady BS that I've ever seen and I've seen a lot of BS in my life. Screw Yacht Club Games I'm not paying $15 for a mode that should be standard with the game. I completely agree. Amiibo are too rare to use for important DLC. Costumes or a singular one of a kind weapon/item is fine, but this is a major feature that most people will never be able to utilize.